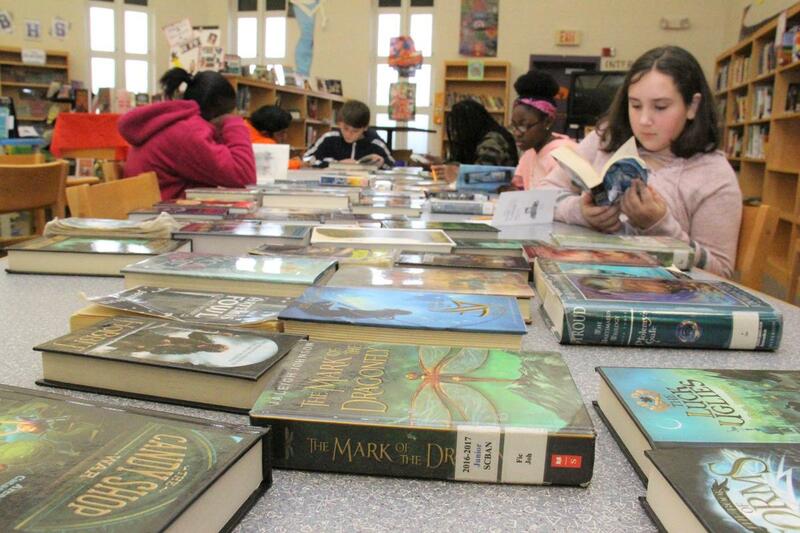 Sixth grade students at B-L Middle School recently had the opportunity to sample a variety of different novels courtesy of a Book Tasting that was sponsored by the school’s Media Center. Sixth grade students at B-L Middle School recently had the opportunity to sample a variety of different novels courtesy of a Book Tasting that was sponsored by the school’s Media Center. The focus of the Book Tasting was on Realistic Fiction and Fantasy genres, giving students a fun and unique way to find new books that might interest them. After the Book Tasting, students could reserve the novels that piqued their appetite for a good read through the Destiny Online Catalog in their student Google account. Students who read six books during the third nine weeks and complete a special project are qualified to go to a Columbia Fireflies game thanks to a special partnership with the Fireflies Reading Program.